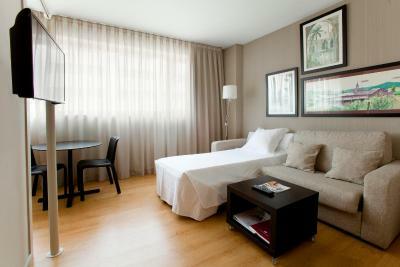 Lock in a great price for Aparthotel Atenea Barcelona – rated 8 by recent guests! Good location if you want to go to a Camp Nou match. Comfy. Good location walking distance to metro and shopping mall. I have stayed at the hotel before and enjoyed my stay each time. The hotel staff are helpful and friendly. 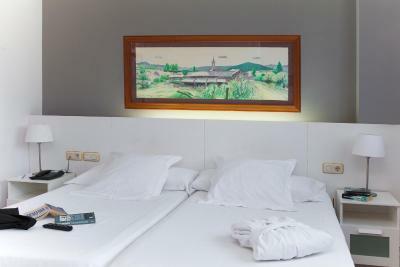 The rooms are a good size and bright with comfy beds. The overall standard of the hotel is high being very clean and welcoming. 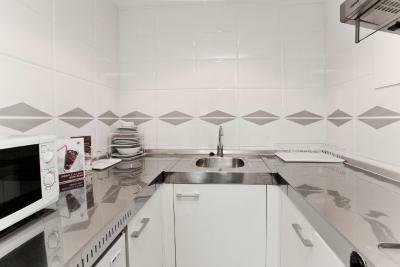 It is a great location to stay being near to the Metro with bars restaurants and supermarkets close by. The choice of breakfast each day is very good too! It was nice having our own kitchenette, as well as a microwave and a fridge, which mean we could reheat leftovers. The hotel is quite conveniently located along Metro line 3, so it was easy to get to the university and the conference center, or to the Old Town. We had a nice view towards the hills. The buffet breakfast is nice, if you take full advantage of it. The staff was helpful. Good property. Very close to the metro making it easily accessible to all tourist attractions. Very close to camp nou. We were in barcelona during the peak of the protests and this area absolutely had no issues. Very peaceful and made us feel safe. 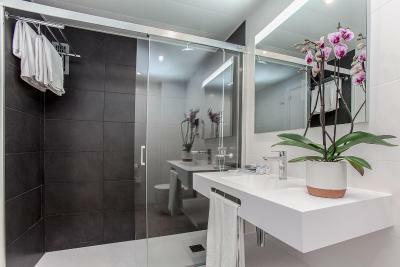 Aparthotel Atenea Barcelona This rating is a reflection of how the property compares to the industry standard when it comes to price, facilities and services available. It's based on a self-evaluation by the property. Use this rating to help choose your stay! 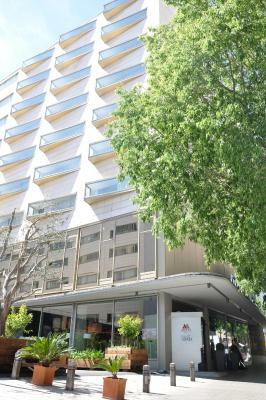 This modern aparthotel is located just off Diagonal Avenue, 10 minutes’ walk from Barcelona FC’s Camp Nou Stadium. It offers large rooms with free Wi-Fi, satellite TV and a kitchen. 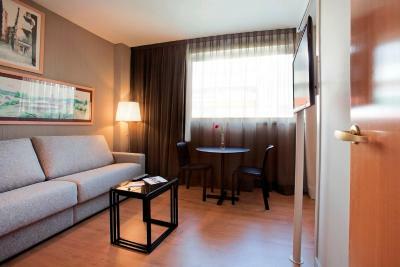 The elegant rooms at Aparthotel Atenea Barcelona are equipped with carpeted floors and air conditioning. Each one has a seating area with a sofa, as well as a kitchen with a fridge and 2 electric hobs. The hotel’s restaurant serves a home-made buffet breakfast, and offers healthy food for lunch and dinner. 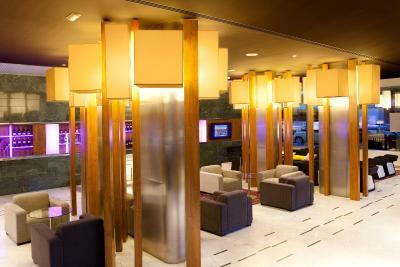 There is also a lounge bar, where guests can relax while having a glass of cava or a soft drink. Atenea’s 24-hour reception staff offers a bike and car rental service. 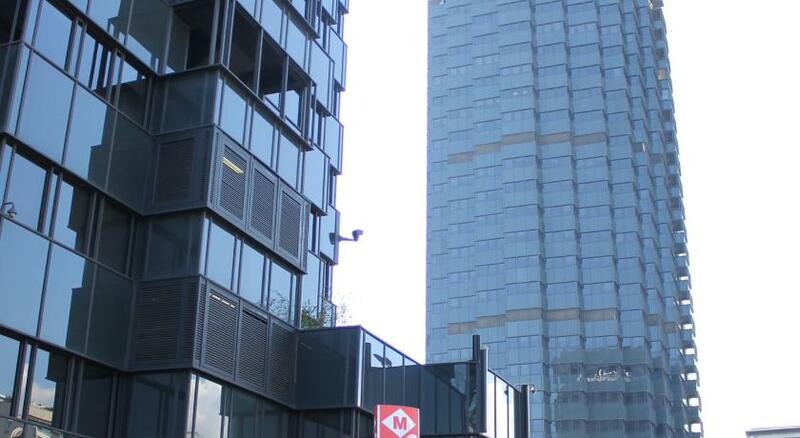 Les Corts Metro Station is just a 3 minutes’ walk away. Sants Train Station is only 2 Metro stops from Atenea. 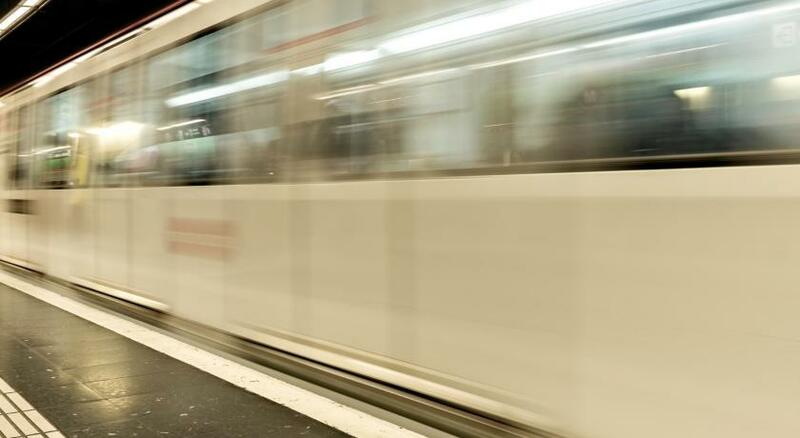 Barcelona’s main tourist attractions can be reached within 15 minutes by Metro. 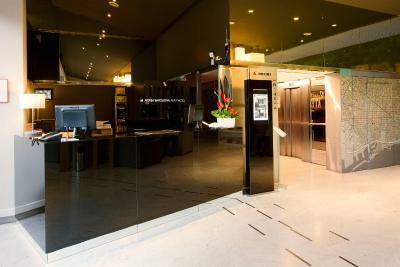 When would you like to stay at Aparthotel Atenea Barcelona? This spacious, air-conditioned room has free Wi-Fi, satellite TV and a kitchen with a fridge, microwave and 2 electric hobs. There is a seating area with a sofa bed. Private parking is available at a location nearby (reservation is not needed) and costs EUR 16 per day. This spacious, air-conditioned room has free Wi-Fi, satellite TV and a kitchen with a fridge and 2 electric hobs. There is a seating area with a sofa bed. This spacious, air-conditioned room has free Wi-Fi, satellite TV and a kitchen with a fridge, microwave and 2 electric hobs. . There is a seating area with a sofa bed. This spacious, air-conditioned room has a kitchen, microwave and 2 electric hobs, free Wi-Fi and a seating area with a flat-screen TV. It comes with free bottled water, a bathrobe and slippers. This comfortable and spacious Premium room features 2 single beds, a flat-screen TV and a private bathroom with bathrobe and slippers. It also has a kitchenette with a fridge, microwave and 2 electric hobs. Free Wi-Fi is available. 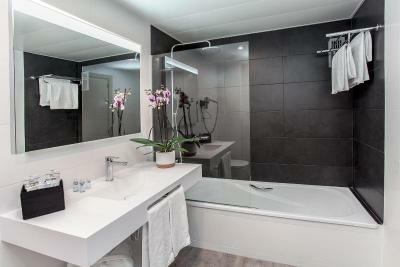 This comfortable and spacious Premium room features a flat-screen TV and a private bathroom with bathrobe and slippers. It also has a kitchenette with a fridge, microwave and 2 electric hobs. Free Wi-Fi is available. 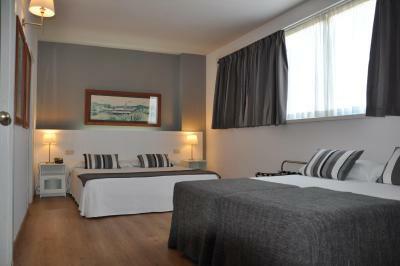 House Rules Aparthotel Atenea Barcelona takes special requests – add in the next step! 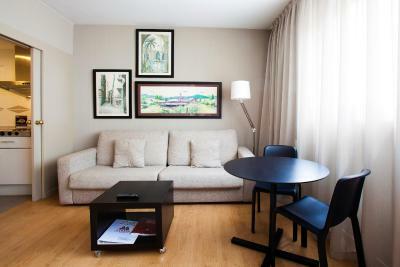 Aparthotel Atenea Barcelona accepts these cards and reserves the right to temporarily hold an amount prior to arrival. Please note, the safety deposit box is free but there is a refundable deposit of EUR 20 payable in cash for the key. The deposit is refunded once the key is returned. Great breakfast! Close to the underground. Beds made up daily. Great kitchen area with fresh water in fridge daily. Reception and all staff very helpful. Free coffee in lounge area. Very clean and modern interior. Sofa smelled. Floor needed better sweeping. Towels outdated. Proximity to Metro, food, grocery store, Camp Nou. Bathroom was very modern and updated. Good water pressure. The room was quite hot even though it was just end of February. The air-co was set to 17 degrees Celsius but it didn't get very cool during the night. We had to open the window during the day to cool the room down a bit. I suspect they might limit the air conditioning outside of the hot months. Travelling with a toddler this was perfect for us. A spacious room with plenty of space for him to run around. A kitchen to fix him breakfast, milk bottles etc. They prepared him a very comfy travel cot bed. We didn't use the restaurant or their room service as there were several tasty breakfast options in the area. It was a short walk from the metro station and a very family friendly area. This is outside the touristy area and more where the locals live which had a nice and relaxed vibe. First room had ripped wall paper, dirty foot prints on all wall, generally dirty room and basic furniture. Was chared 16 euros per night to park. They changed our room that was a bit better. Daily cleaning in the ap non existent. I booked a double bed and got two singles. the pool was way too small and there wasn't many sunbeds, also on the photographs there is a roof top bar, there is a bar but there was nothing on it and it was never open in the week we were there. The pool is tiny i think it needs making people aware that the pool is more like a splash pool, the pictures are deceiving. we didnt have breakfast in the hotel as there are plenty of places too eat locally cheaper. very close to the beach and business area of Barcelona.